Dr. Scott Kasner discusses this study that led to the recent FDA approval of the GORE® CARDIOFORM Septal Occluder, a device used for the closure of patent foramen ovale (PFO) to reduce the risk of recurrent ischemic stroke in certain patients. Dr. Scott E. Kasner trained in Neurology at the University of Pennsylvania, and then in Stroke and Neurocritical Care at the University of Texas at Houston. He joined the faculty at the University of Pennsylvania in 1997 and is currently the Ruth M. & Tristram C. Colket Jr. President’s Distinguished Professor of Neurology, Chief of the Division of Stroke and Cerebrovascular Disease, Vice Chair for Clinical Affairs, and Director of The Joint Commission-certified Comprehensive Stroke Center. He is a Fellow of the American Heart Association and was a longstanding member of its Stroke Council Leadership Committee. He chaired the AHA’s Stroke Oversight Committee and the Early Career Investigator committee. Dr. Kasner has had leadership roles in many trials of novel interventions for acute stroke treatment, prevention, and recovery. He has authored over 200 publications, and he edited 2 textbooks focused on evidence-based stroke care. Dr. Kasner has been extolled as a teacher and mentor, with several teaching awards spanning his career. Neal Howard: Welcome to Health Professional Radio. I’m your host, Neal Howard. Glad that you could join us once again. Our guest is Dr. Scott Kasner. He’s a neurologist in the Perelman School of Medicine at the University of Pennsylvania and he’s joining us here today to discuss briefly about a study that led to the recent FDA approval of the GORE® CARDIOFORM Septal Occluder. Welcome to the program, Dr. Kasner. Dr. Scott Kasner: Thank you very much for having me. N: Now, you’re a neurologist at the Perelman School of Medicine. Give us a bit about your background and briefly what you do there at Perelman. S: Sure. So I’m a neurologist and I particularly specialize in stroke and related cerebrovascular diseases. I’ve been on faculty here at Penn for 20 years and have been focused on clinical trials of stroke diagnosis, treatment, recovery, and prevention. N: Well, I mentioned that there’s a study and the study led to the recent FDA approval of the GORE® CARDIOFORM Septal Occluder. First of all, what is this device intended to treat? S: The CARDIOFORM device was designed for closing the patent foramen ovale or PFO in patients who had a prior stroke that was attributed to that PFO. PFO has been a topic that’s been discussed and evaluated for many years. There have been a number of studies and eventually large randomized clinical trials trying to determine whether or not a closure of the PFO with a device could be effective in the prevention of future stroke and it was only in the past year or so that number of trials all showed at the same time success with closure. I got to lead the GORE® Reduce Trial which tested this particular device compared to medical therapy in patients with cryptogenic stroke and PFO. N: So a cryptogenic stroke is attributed to PFO exclusively or is it a type of stroke that doesn’t necessarily have to be attributed to the PFO? stroke, that proportion of cryptogenic stroke is even 50%. So it means there’s still a lot to learn. But in particular, in the younger population, if we do an echocardiogram and look for this patent foramen ovale by doing an injection of bubbles during the echo, we find that PFO in something like 40% of those patients. In contrast in the normal healthy population is probably somewhere in the range of 20 to 25% and that kind of over-representation of PFO in the young stroke population is what led us to look for that as a potential cause of cryptogenic stroke. So it’s kind of a negative diagnosis where we have to exclude all these other things and find a PFO and it gets a bit more complicated still. N: Is that the most common way that a person is diagnosed with cryptogenic stroke? S: It’s ultimately a diagnosis of exclusion. Well, no. So diagnosis for cryptogenic stroke would be a diagnosis of exclusion meaning we’ve looked for other stuff and didn’t find it. S: So the hard part is because PFO is a common thing. We all have a foramen ovale, patent foramen ovale when we’re fetuses. When we’re born, we were all taught in medical school that the PFO closes but in about 25% of people then give or take, it doesn’t completely close. When I was in medical school, we went around looking at our cadavers to see how many people, the cadaver had a PFO, we didn’t really think it meant anything. It was around that same time that people said, “Hey look. You know if somebody has a cryptogenic stroke we seem to find this PFO a lot more often. Maybe that’s the cause.” And the idea how PFO causes a stroke is that we all occasionally make little clots in our veins that are too small to do anything. They come up into our heart into our lungs and dissolve away, never cause a problem but even a one millimeter clot that goes into the venous side of the heart into the right side of the heart crosses to the PFO and then goes to the brain will cause a stroke because blood vessels in the brain are small and the brain really doesn’t tolerate a lack of blood flow. So that’s the idea of paradoxical embolism. There’s kind of two big concepts of cryptogenic stroke meaning, we didn’t really find the clear cause and then within that broader group, a subset of people potentially a large one in the young patients of cryptogenic strokes with a PFO and in whom we think the PFO was the cause of the stroke because we looked really really hard and didn’t find anything else. N: That being said, how this GORE® device operates to close these PFOs and is it successful across the board or are there some stipulations based on some of the findings of the study? S: Good question. It’s hard to always know because what we’re left with after somebody comes in with a stroke is we find a stroke, we find a PFO, we don’t find anything else and we say, “Aha! The stroke must have been caused by the PFO.” But that’s still our best estimate. It’s sort of a smoking gun but we didn’t actually see this happen in the act. There’s actually a couple of case supports where people have actually caught the clot in the act of crossing the PFO but it’s really rare. So it’s really more of an inference. That means we need to evaluate these patients carefully, look hard for large artery disease, look for other cardiac sources, look for clotting problems, make sure they don’t have some other weird causes of their stroke and if we’ve done all of those things and found the PFO in that group – that was a target group for these trials then placing this device, the GORE® CARDIOFORM device reduces the risk of a recurrent stroke by 77% . So, it’s a huge risk reduction. N: Where can we learn some more about the GORE® CARDIOFORM Septal Occluder? S: Obviously, the sponsor W.L. Gore has information on their website about the device and the … like an FDA labeling before the device. Gore Reduced Trial was published in the New England Journal so people want to see the clinical data. That’s really the best resource for that. And an important part of the FDA decision when they looked at the device safety profile, the clinical data with respect to stroke production, was that this issue of ruling at other causes of stroke and making sure that the PFO is likely caused and that the device can go in safely and effectively, really requires a shared decision-making profile. Neurologists hopefully, stroke neurologists when possible and cardiologists really need to work together, patients should be seen by both to make sure that this is the one and only identifiable cause for their stroke before proceeding. That’s unique. We don’t see that in a lot of other fields. Certainly, a lot of interdisciplinary work in medicine but here’s one where before going to a procedure, we want patients to be seen by neurologists and cardiologists who can decide together that this is the right strategy for their patient. N: Well, Dr. Kashner, thank you so much for joining us on the program and for giving us this great information. S: All right. Thank you very much. N: You’ve been listening to Health Professional Radio. I’m your host, Neal Howard. Transcripts and audio of this program are available at hpr.fm and healthprofessionalradio.com.au. 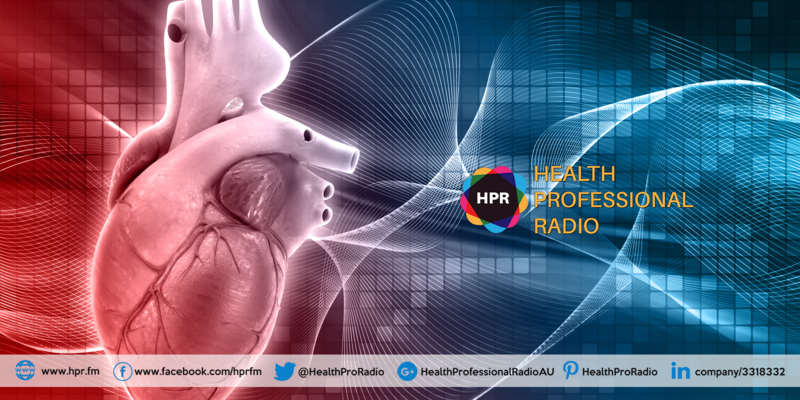 You can also subscribe to this podcast on iTunes, listen in and download at SoundCloud and be sure and visit our affiliates page at hpr.fm and healthprofessionalradio.com.au.